Sakura’s Stardust Gelly Roll in clear is my favorite tool to use when I want to create a little sparkly accent on cards, envelopes and decorations. It works just like a gel pen, but it leaves a little trail of glittery ink behind. 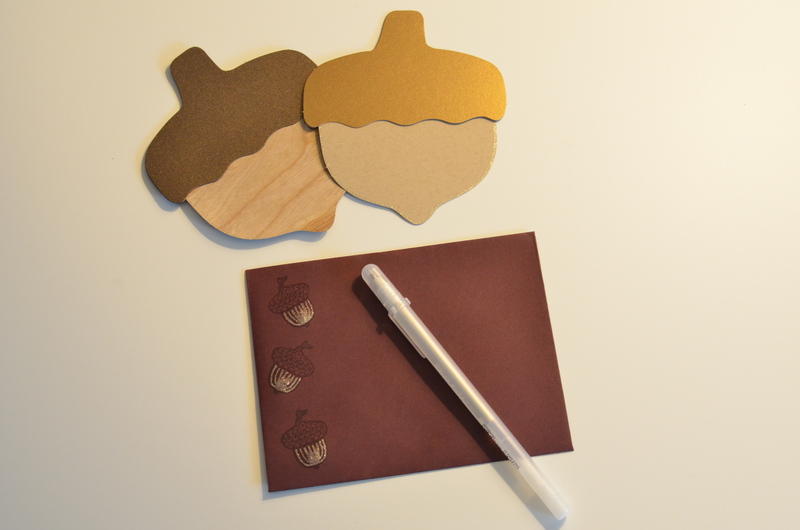 I used it to color in the acorns on the envelope and to outline the acorns on the decorations (which are part of this Acorn Garland Kit from Paper Source). It is pretty subtle (you can barely see it on the lighter papers of the acorn decorations, but in person it is noticeable), so I wouldn’t really recommend writing a letter with this particular gel pen, but the Stardust line comes in a bunch of colors, if glittery writing is your thing. I personally just love it because it’s a mess-free way to add a little pizzazz to my projects… without the risk of getting glitter in my eye! *This and all posts about my little red toolbox are not sponsored posts. 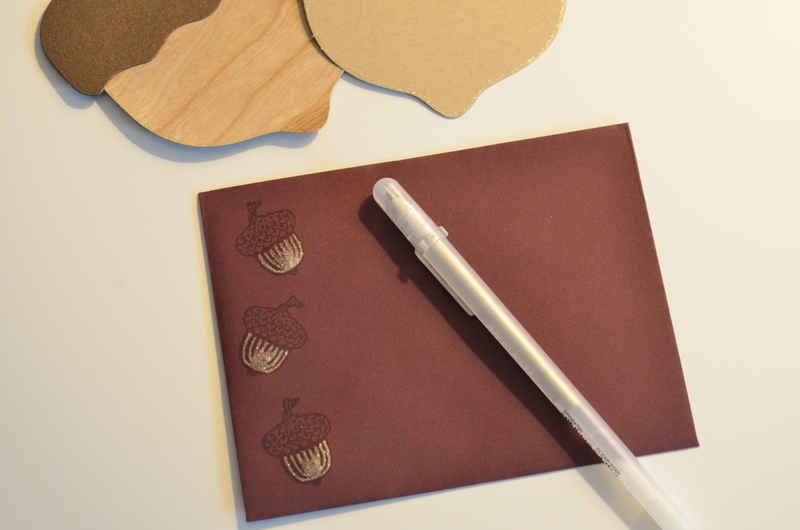 I just thought it would be fun to share my favorite tools for paper crafting. For more about my little red toolbox, go here. Very Nice!! I like it a lot. Helps to brighten up your crafts.